Minya (AsiaNews / Agencies) - The Muslim Brotherhood have turned an evangelical Protestant church in Monshaat Baddini in the province of Samalout ( Minya, Upper Egypt) into a mosque. According to local sources, the Islamists have removed all sacred furnishings , paintings, icons and recited the special prayer to consecrate the building to Allah. 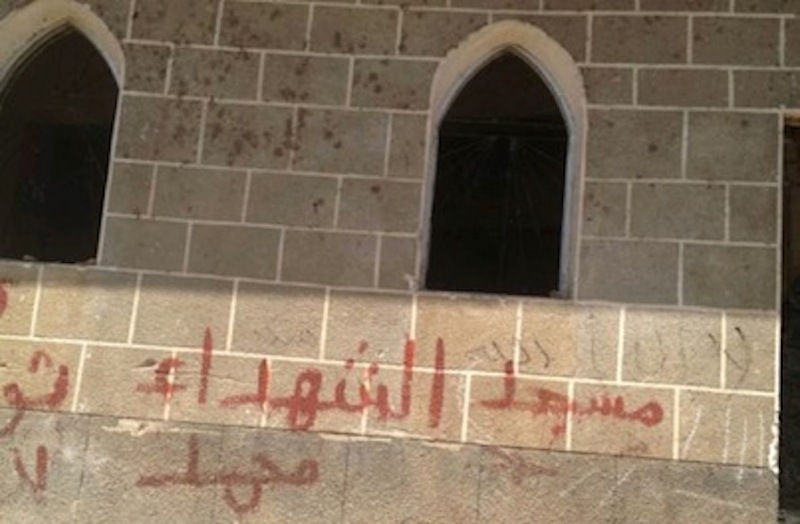 On the wall of the church an inscription reads : "mosque of martyrs and there is no other God but Allah." Menassa Nesseim , the Pastor of the local Protestant community , tells Mcn-direct (an Egyptian Christian Press Agency) that " since August 14 , the day of the Islamist assault against Christians , no one has been able to enter the building ." He denounces the inaction of the authorities who have accepted the fact with indifference: "Neither the police nor the armed forces have raided the church, to eject the squatters and return the building to the Protestant community". Nesseim reports that the militants have placed their men to guard the complex. Christians are afraid to approach their church. Attacks against Egyptian Christians began in mid- August, after the evacuation of the sit -in of the Muslim Brotherhood in Cairo and other cities of the country. There are currently over 80 churches destroyed. Added to this sad toll are he 162 homes and shops destroyed and the daily threat of being subjected to more attacks and kidnappings. In Delga city of the province of Minya , Islamists have created a kind of parallel state, turning the city into an Islamic enclave in which shariah prevails. To survive Christians must pay the "jizya " tax "compensation" demanded by the Koran from non-Muslim subjects who are "protected" the Islamic umma .